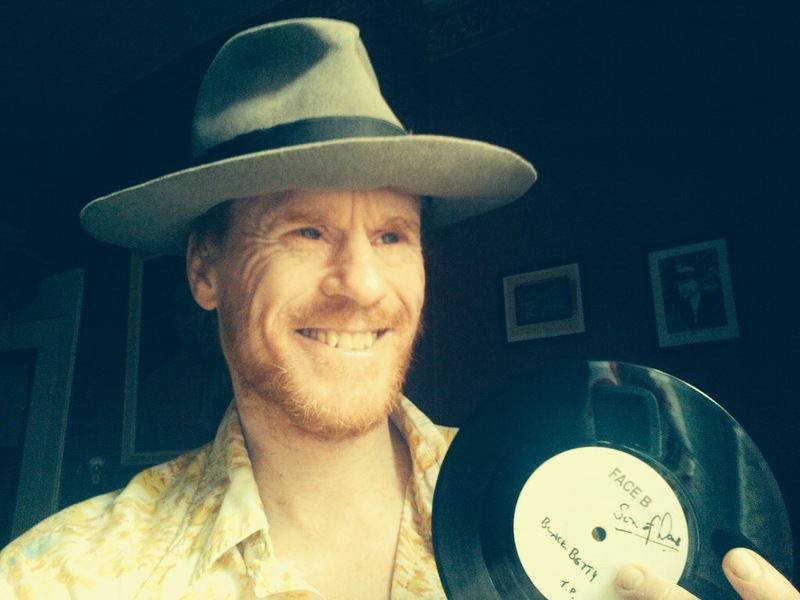 Win a Son of Dave vinyl test press and tickets to the tour! The PRIZE: a bloody rare Filthy 45’s vinyl test pressing of the new single, and a pair of tickets to the show of your choice on this upcoming tour. The CHALLENGE: send in a pic of yourself holding a “SON OF DAVE IS COMING” sign while marching up and down in your TOWN SQUARE. Ha ha. To get involved, upload your photos and tag Son of Dave via www.facebook.com/son-of-dave. Best of luck from This Is Now Agency! It is a home crowd show this weekend for the Gorgeous George boys (and girl) with a headline gig at Tooting Tram and Social on Saturday night. Tickets are just £6 in advance and are £8 on the door. The show will be recorded for a live release later in the year so if you want to say ‘I was there’, you better get your tickets now! 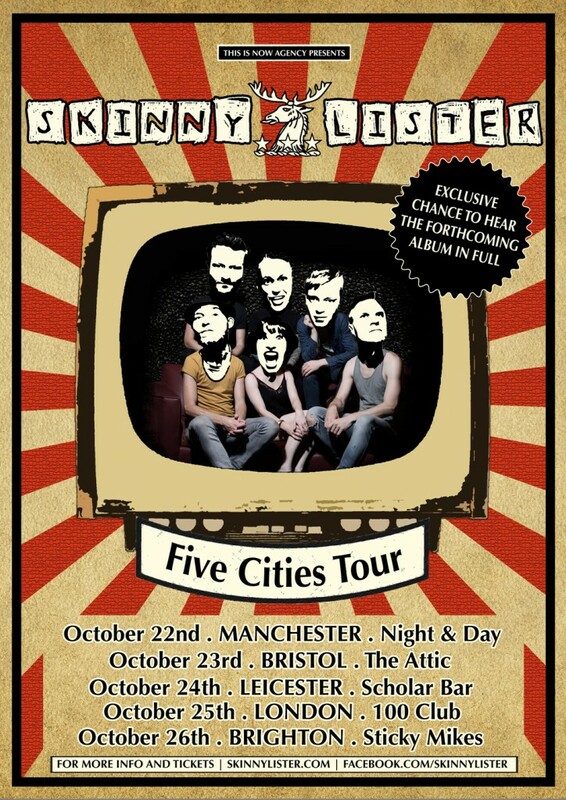 This October the folk band that is Skinny Lister will bring their incredible live show to Manchester, Bristol, Leicester, London and Brighton and will exclusively play their forthcoming new album in full for the first time ever. The band’s new album will be released in 2015, making this one- off extravaganza tour a must go to event! In the past twelve months, Skinny Lister have toured the world wielding their flagon across the States supporting Dropkick Murphys and joining The Levellers and Boy George on tour back in the UK. After last year’s successful mainstage Coachella performance, the band returned for further US festival action, stirring up more rum fuelled fun at this year’s prestigious Bonnaroo and Summerfest festivals. The group then hot footed it back to the UK to rock the Avalon stage at Glastonbury, the main stage at Wickerman Festival, Cambridge Folk Festival, BoomTown Festival and Beautiful Days, making Skinny Lister one of the most exciting and popular live bands on the planet. Please visit www.skinnylister.com for tickets. It is with plenty of excitement that we can now confirm that Public Service Broadcasting will be joining indie heavyweights Kaiser Chiefs on their UK Arena Tour next year. 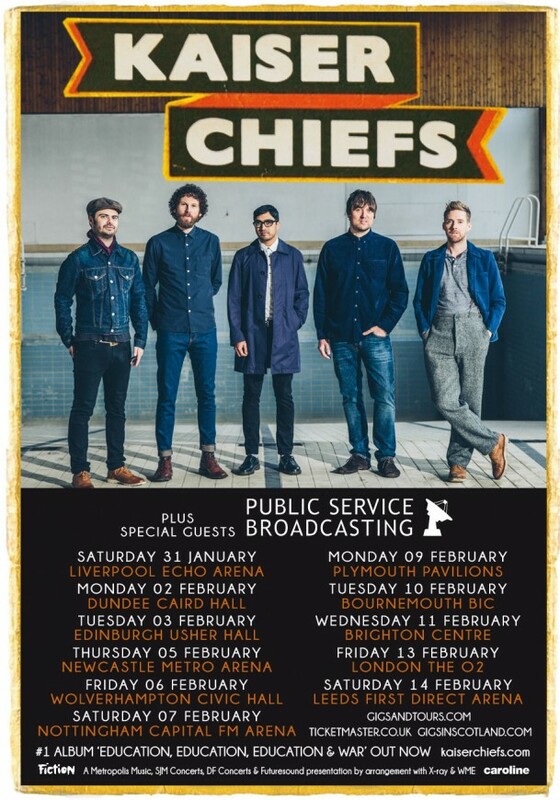 Having released new album ‘Education, Education, Education and War’ earlier this year, Kaiser Chiefs will be playing 11 Arenas and have invited Public Service Broadcasting to open each show across the the UK. The announcement marks the second Arena Tour support slot on the This Is Now Agency roster in a year, with Beans On Toast joining Frank Turner‘s Arena Tour last spring but this will be the first arena tour for Public Service Broadcasting and the band are incredibly excited to be joining Kaiser Chiefs on the road!